God’s blessing is clearly evident on this dynamic and enthusiastic pastor and this husband and wife ministry team. Both Tennessee natives with a burning vision to challenge and inspire believers to live their lives with a sense of mission and purpose, Pastor James & Melissa believe that it is time to be sold out to the cause of Christ. A gifted communicator for this day and with years of tremendous experience in ministry and with people, the Farmers understand the vital role of the local church in these last days and its impact on the world around us. Their mission statement, which is included as a part of the mission of The Lord’s Church, is to simply inspire purpose in all people. The Farmers are true pastors, with a love for people that is undeniable. Pastor James is an ordained minister with the Rhema Ministerial Association International, in Tulsa Oklahoma. 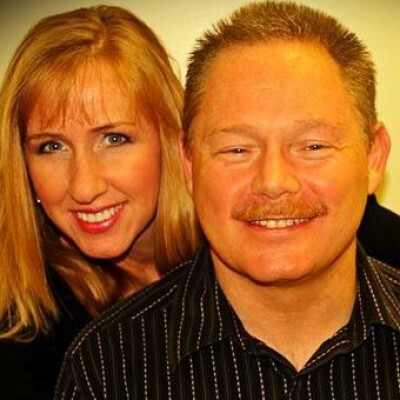 A loving husband, Pastor Farmer is happily married, and passionately devoted to his wife, Melissa, of over 25 years. A proud dad, Pastor and Mrs. Farmer and their four boys, William, Wesley, Thomas, and Andrew, make their home here in the Memphis, Tennessee area. When not doing the pastoring thing, Pastor spends his time with his family and is constantly dating his wife. He loves to collect 1940’s war memorabilia and hand-carved mahogany World War 2 aircraft. Oh, and pastor loves to watch old movies. Melissa is very involved alongside her husband in every aspect of the church. She also coordinates all the children’s class schedules and activities. as well as all the youth and college classes and activities. She has also enjoyed directing youth Christmas plays and other dramatic productions for over 25 years. Having homeschooled her own children since moving to Memphis 15 years ago, Melissa is very passionate about the parent’s role in training their children to grow up to become godly men and women. She also strives to be a role model for wives to love their husbands the way God intended. Though this keeps her very busy, she works hard to make special memories with her family and document those memories through many, many photos.